Crest Theatre | 7:30 p.m.
Michele Norris hosts NPR’s All Things Considered, public radio’s longest-running national program. Before joining NPR in 2002, Norris worked as a reporter for ABC News, a position in which she garnered both an Emmy Award and a Peabody Award for her coverage of 9/11. Norris has reported extensively on issues of inner city poverty, race and education for The Washington Post, the Chicago Tribune and the Los Angeles Times. Her powerful Washington Post series on the drug trade's impact on young children was published along with essays by Nelson Mandela and Gabriel Garcia Marquez in the book Ourselves Among Others. Norris’s journalism has earned her four Pulitzer Prize nominations, the 1990 Livingston Award, the National Association of Black Journalists’ 2006 Salute to Excellence Award and the 2009 Journalist of the Year Award. 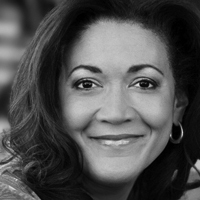 In her new book, The Grace of Silence, Michele Norris shows extraordinary candor in examining her own complex racial legacy. This memoir is inspired by hundreds of interviews with ordinary Americans and wise observations about evolving attitudes toward race in America.